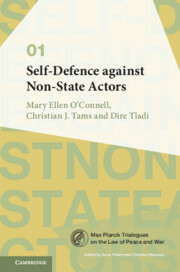 In a Max Planck Trialogue, three authors discuss one topic within the international law surrounding armed conflict. Each trio is composed so as to engage different modes of legal thinking, intellectual paradigms, regional backgrounds, and professional specialisation. By bringing the pluralism of premises and methods to the fore, the Trialogues facilitate the emergence and global refinement of common legal understandings.